When we were planning to move to Seattle, I imagined that we would do our weekly shopping at Pike Place Market. I have such fond memories of the years that we lived nearby. Fabulous day trips to the beach, Vancouver Island and Victoria Canada. Hiking in the mountains and visiting little towns on the water, such as Poulsbo and Port Townsend, where I sold my art and antiques. Winery visits and great dining options on Bainbridge Island. Washington and Seattle were just as I’d imagined, but even more beautiful. Whoever says the sun doesn’t shine on that part of the world hasn’t spent enough time there. We loved the seasons and we have boxes full of photos taken on gorgeous sunny days, along with those taken on the cozy, drizzly days that rarely kept us from exploring. We did not do all of our food shopping at Pike Place, but we did enjoy day trips to the city that began with early morning ferry rides across Puget Sound, as we’d dreamed we would some day do. To me, one of the best things about Pike Place was a fabulous specialty food store called De Laurenti. In the deli case the first time we visited there were freshly made salads, cheeses, meats, and something I’d never had before– dolma. 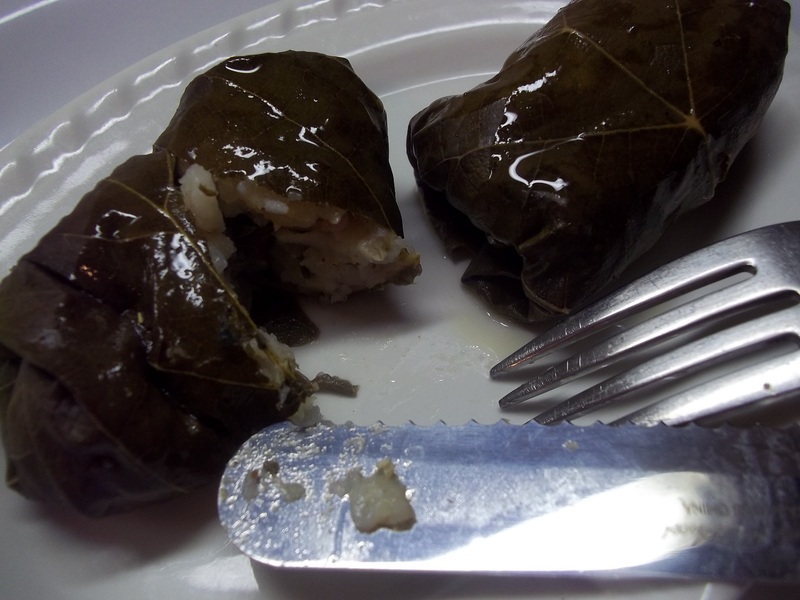 I had always wanted to try stuffed grape leaves so we took a few and walked to the Seattle underground area to eat them. I couldn’t say they were the most flavorful, amazing food I’ve ever eaten, but there was something so satisfying about being able to carry the little packets around munching them while we went sightseeing. 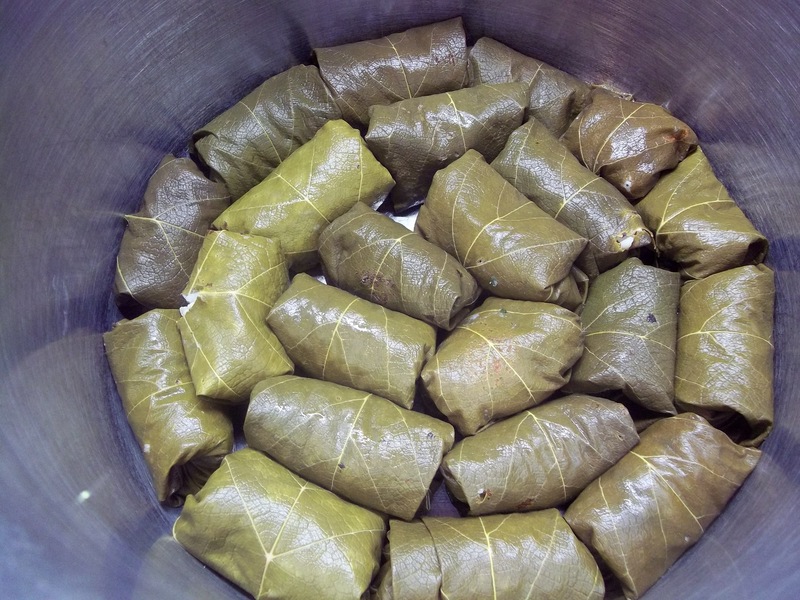 We always stopped for dolma on our trips to Pike Place after that. When a 7.2 earthquake hit the area, sending me with the baby and Hubby with the toddler running for safety in a 100 yr. old gymnasium with a glass lined roof, we decided that Washington was not the permanent place for our little family. We headed for Appalachia and searched for the precious acreage we now call home. The little mountain farm we always wanted. 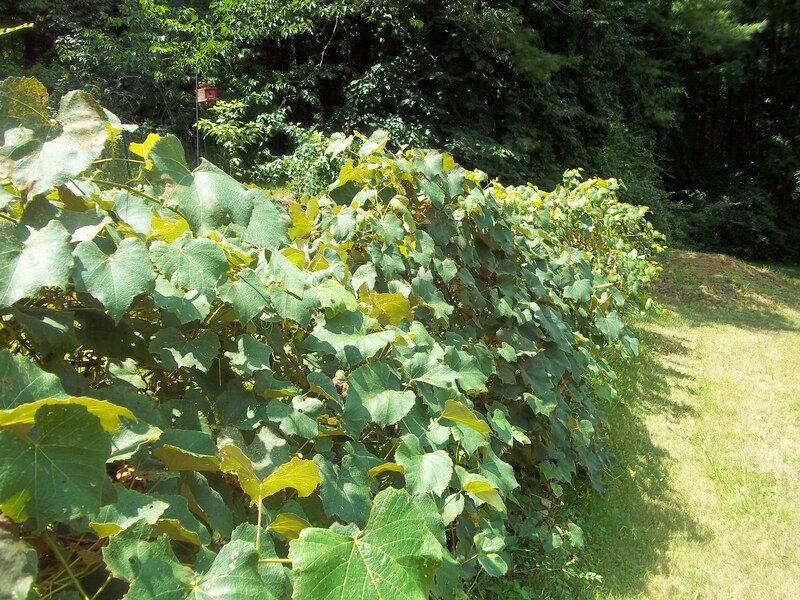 Our little farm came with a long trellis of concord grapes. 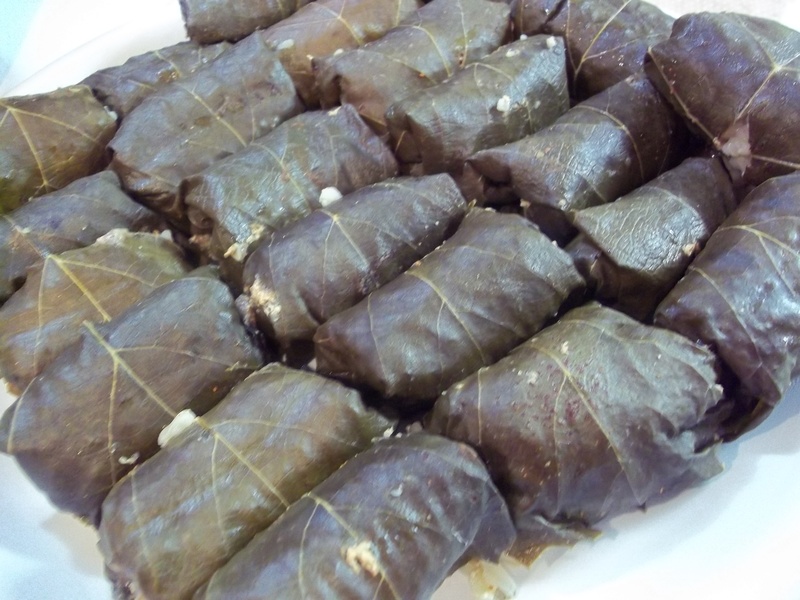 Now I can have my dolma and eat it too! 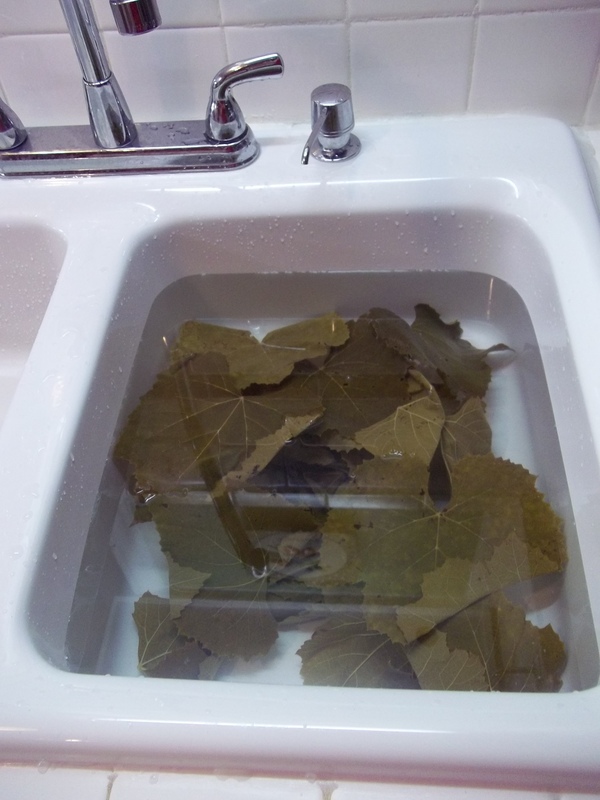 If using fresh grape leaves, clean them by immersing in warm water with a 1/4 c. vinegar added. 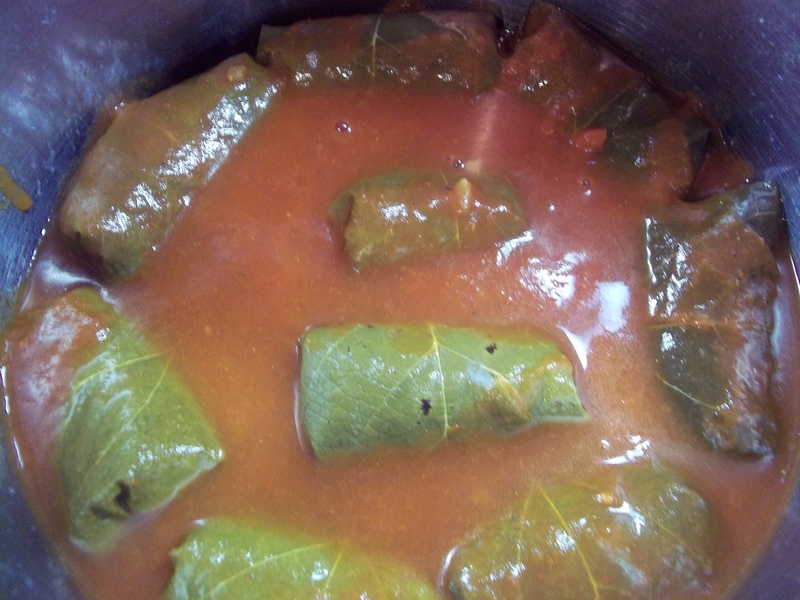 Cook the leaves to soften. Bring a stock pot of water to boil. Add a little salt. 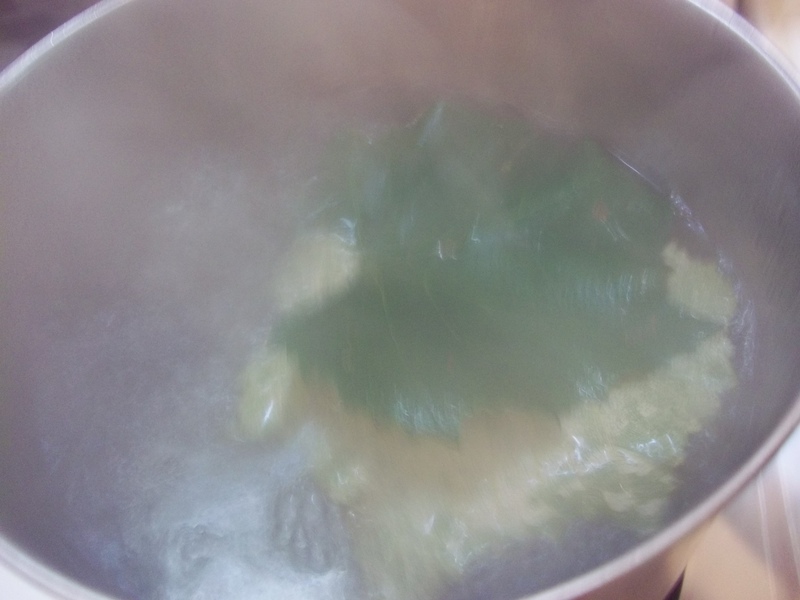 Cook the leaves in batches f0r 5 to 8 minutes. Plunge into an ice water bath. Our water comes from a deep, mountain well so is ice cold all year, but regular tap water may not be cool enough to quickly stop the cooking process. Drain. With kitchen shears, snip off the woody stem end of each leaf. 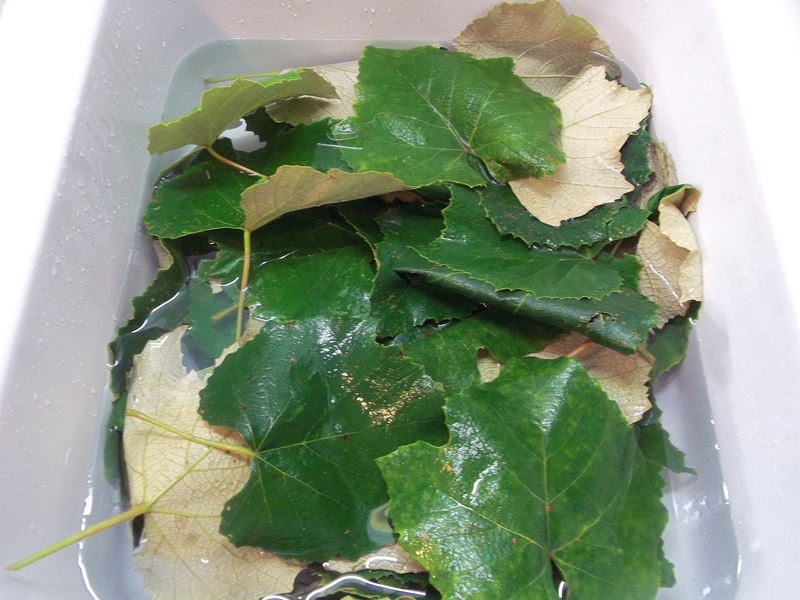 Lay out a few grape leaves on a work surface. Combine the remaining ingredients, all but the stock, and toss together. 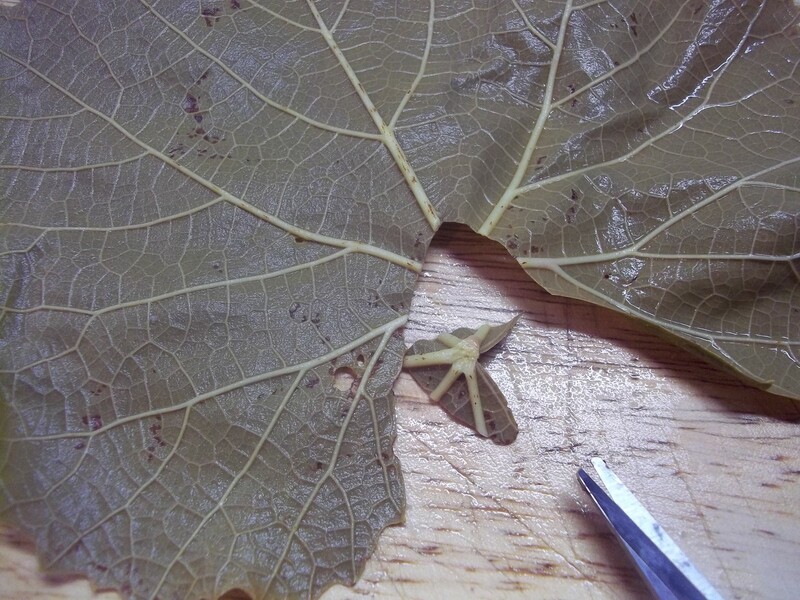 Place about a tablespoon and a half at the stem end of each grape leaf. 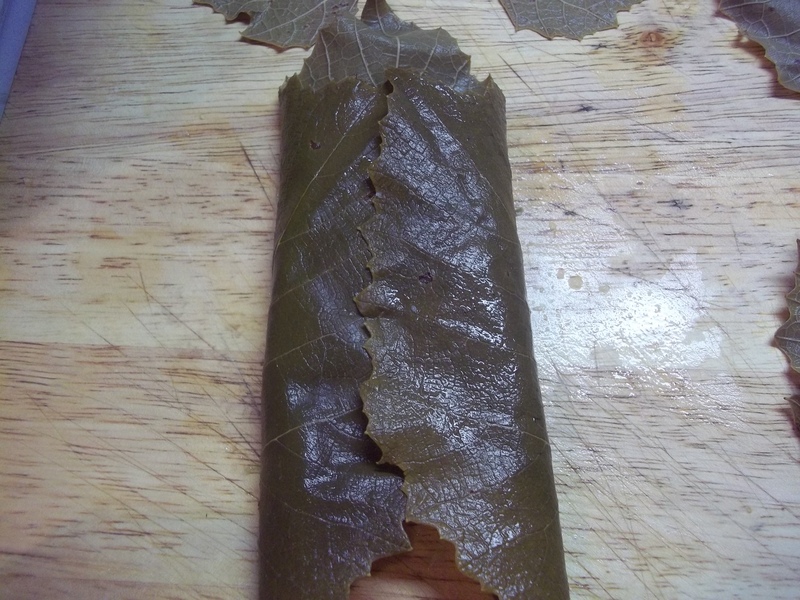 Roll the leaf up into a little packet. 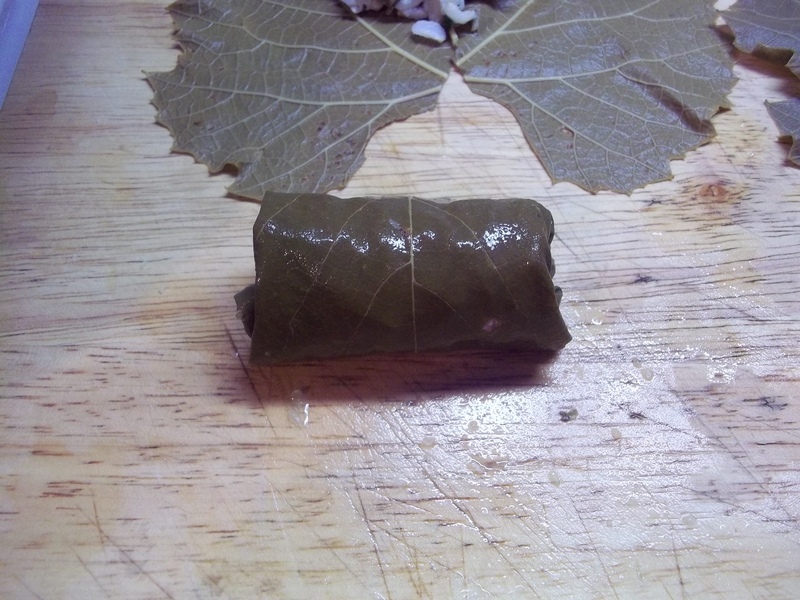 Line the bottom of a stock pot with the rolled grape leaves. 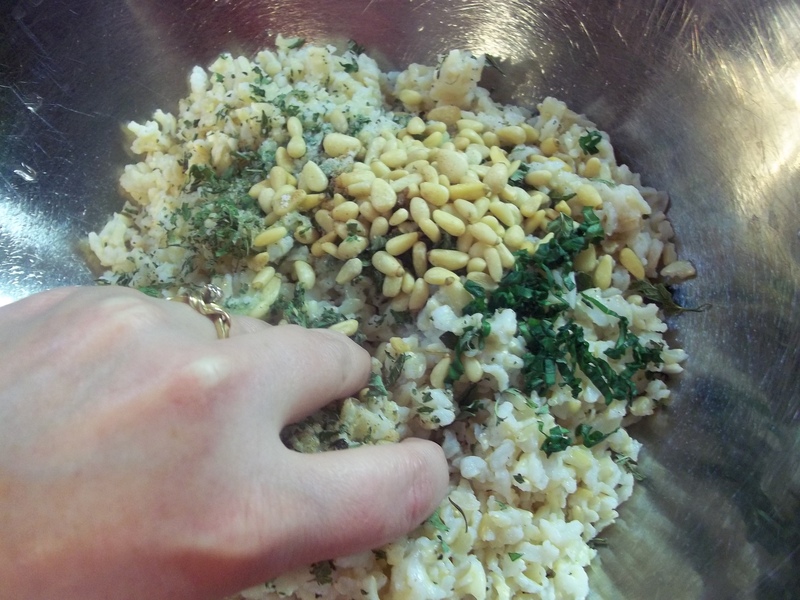 When they are all placed in the pot, pour in the stock and weigh them down with an oven-proof plate or lid. Gently simmer for 1 1/2 hours, covered. These were made with brown rice. 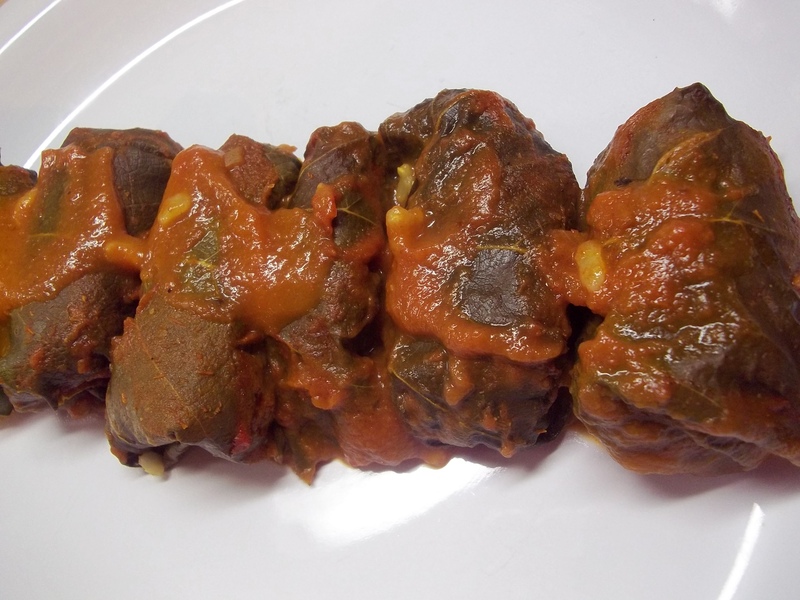 I also made some of them simmered in tomato sauce. They are best chilled and freeze well. To freeze, lay them on a sheet pan and place in freezer to individually freeze. Bag them up or place in plastic containers so you can pull what you like from the freezer as you need them. 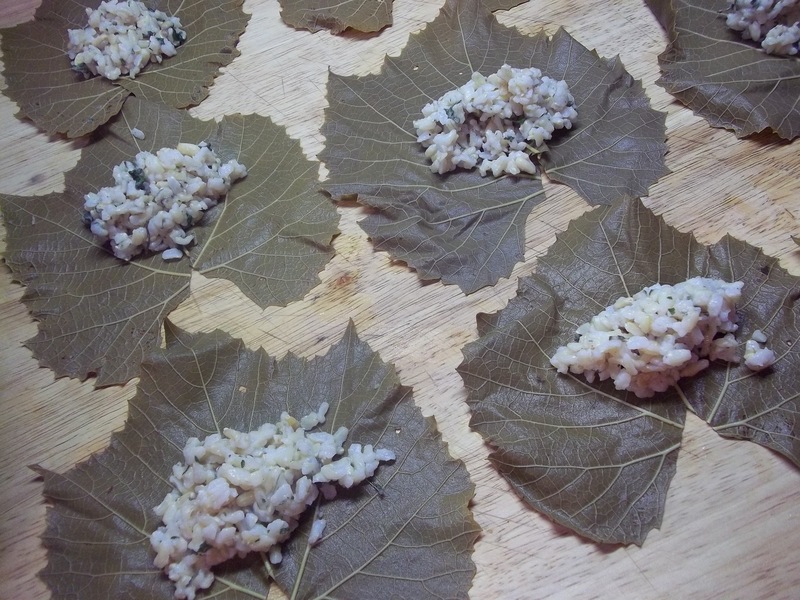 The tomato sauced dolma were delicious with Tzaziki Sauce and I served them with Tabouleh, Roasted Garlic Hummus, and homemade whole wheat pita. Great post – great pictures. 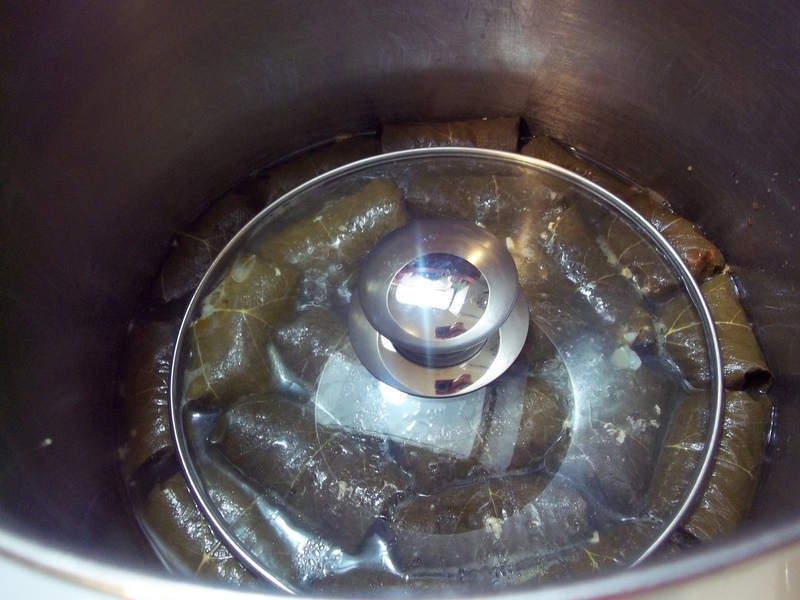 Lol the line about having your dolma & eating them too, perfect symmetry. Thanks. I’m very glad I posted the photos. I just looked out the window and HALF the trellis is destroyed and laying on the ground! I have no idea what could have done that and in such a short period of time. 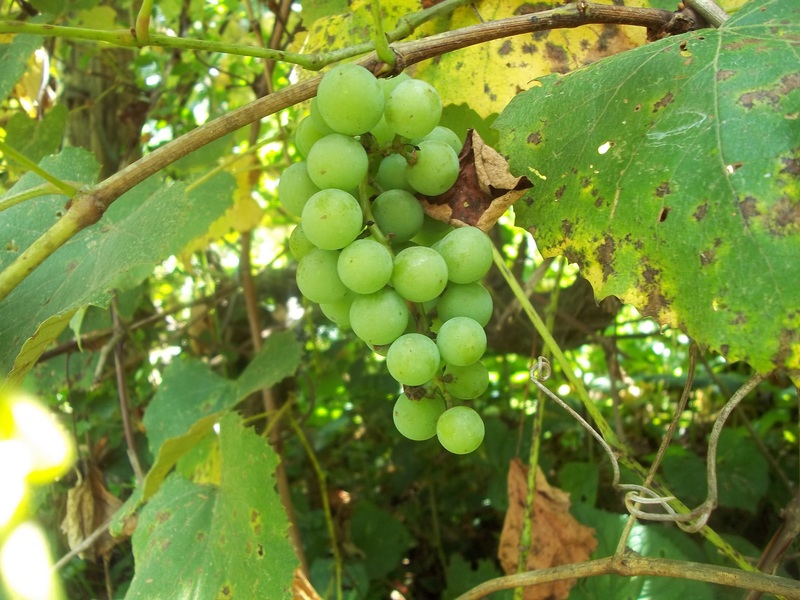 I’m thinking a bear, but the grapes are far from being ripe enough for one to go after them so aggressively.